This stunningly beautiful park stretches south from Tavanbogd Mountain and includes the three stunning lakes of Khoton Lake, Khurgan Lake and Dayan Lake. It's a remote area, divided from China by the high wall of snowcapped peaks, and known to local Kazakhs as the Syrgali region. All three lakes source are Khovd river, which eventually flows into Khar Us Lake in Khovd aimag. It's possible to make rafting trips down river from Dayan Lake, though no agencies offer this at present. There are many archeological sites in the region. As the main road through the region swings towards the southern shore of Khurgan Lake, you can see a stupa-like construction and several burial sites. Nearby is Turkic stone statue and the remains of a processional pathway. Further along the road is a wooden Kazakh mosque, with a ger-shaped roof. Further north-west, along the south-western shore of Khoton Lake, the road deteriorates and there are several rivers to cross as they flow into the lake. North-west of Khoton Lake the mountains close in and there's some fine trekking possibilities. 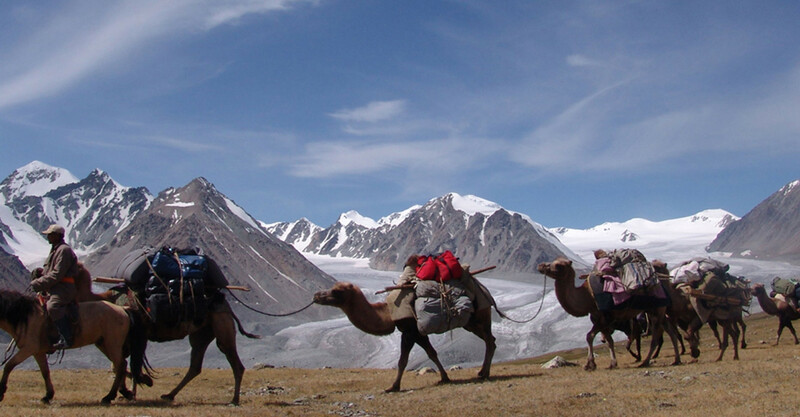 Tavanbogd is one of Mongolia's most spectacular peaks, of interest to professional climbers, and the only one in Bavan-Olgii to be permanently covered with large glaciers (including the 19km long Potanii Glacier, the longest in Mongolia). It's fairly dangerous, and to climb it you need to be with an experienced group properly equipped with ice axes, crampons and ropes. Don't even consider attempting it solo. The best time to climb is August and September, after the worst of the summer rains.The massif is made up of five peaks (the five saints) - Khuiten, Naran, Olgii, Buraed and Nairamdal - the highest of which is Khuiten (meaning 'cold') at 4374m.